Produktinformationen "The Three Investigators and the Mystery of the Screaming Clock"
Every true “The Three Investigators”-Fan dreams about following the adventures of Jupiter, Pete and Bob in the original American edition. 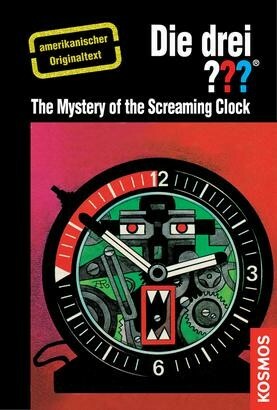 “The Three Investigators and the Mystery of the Screaming Clock”, finally available for your reading device! An alarm clock went off with the scream of a woman in mortal terror. Who could have made such a clock and why? Jupiter, Pete and Bob set out to discover where the mysterious clock came from, but they have to be fast, because time is running out!